Bail hearings are a very important step in the criminal court process. Ensuring that a person is released on bail is an essential step towards successfully fighting any criminal charge. Generally, a person who is arrested can be released from the police station if he signs a document promising to appear in court at a specific time and date. This type of release is purely discretionary and is left in the hands of the police officer who is in charge of the case. If the police officer does not release you from the police station, then you will be brought to court for a bail hearing. The Criminal Code requires the police to bring an arrested person before a justice of the peace within 24 hours or as soon as possible. A bail hearing is a proceeding where a justice of the peace decides whether a person who is accused of committing a criminal offence should be released or held in jail until his case resolves. It is important to retain a lawyer as soon as possible if someone you know has been arrested and will be brought to court for a bail hearing. Hiring a lawyer is your best protection to ensure that a newly arrested person is not lost in the shuffle of a busy bail court and is needlessly put off to another day. There are three grounds that a person can be denied bail. If the presiding Justice is persuaded by the Crown Attorney that the person should be denied bail on any one of these three grounds, then the person will not be released until his case resolves or he successfully appeals the decision through a bail review in the Superior Court. The Primary Ground: will the person attend court? The Secondary Ground: will the person commit further offences or interfere with the administration of justice if he is released on bail. The Tertiary Ground: Will the public lose its confidence in the administration of justice if this person is released on bail. In the vast majority of cases, the Crown Attorney at a bail hearing will attempt to justify a detention order on the secondary ground. To prevent this from happening, the job of the defence lawyer is to put forward an appropriate plan of supervision. Generally, an appropriate plan of supervision involves having a person act as a surety for the accused person. A surety is a person who signs bail for an accused person. By signing bail, the surety promises the Court that they will make sure that accused person follows all the conditions of his bail and that they will attend court. The surety is required to pledge a certain amount of money that they can lose if the accused person breaches any condition of his bail. A defence lawyer’s job is to thoroughly interview a potential surety to make sure that they are suited to the different concerns that the court might have. The proposed surety will sometimes have to give evidence in court – which includes being cross examined by the Crown Attorney. Because an accused only gets one shot at bail, it is necessary to propose the best possible plan of supervision to the court. 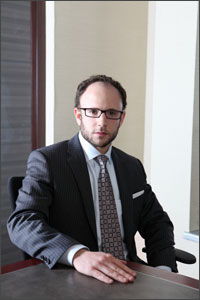 Mr. Luft is available to conduct bail hearings in Toronto, Newmarket, Mississauga, Brampton, or Oshawa. Contact him at 416-433-2402 with any questions concerning a specific bail hearing or to retain him to conduct a bail hearing.